NOTE: This page is updated weekly. Spring is here! 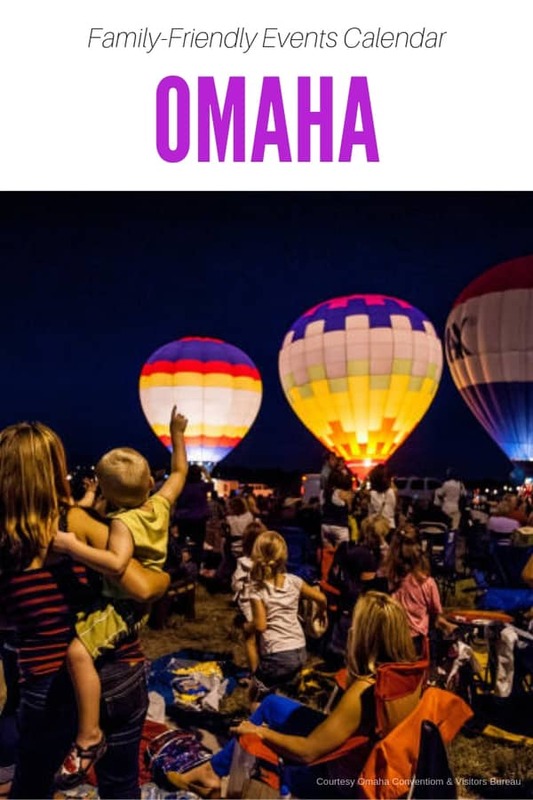 Check out this list for upcoming kid-friendly activities, exhibits, stage shows, and more happening in the Omaha Metro Area in April 2019 – including Easter egg hunts, Easter Bunny events, and Easter craft sessions. Email me if you have Easter events you’d like added! Looking ahead, the list also has upcoming May events from outdoor markets to overnights at the zoo. How to read this post: The first events listed are things to come in chronological order, followed by all the on-going events like exhibits or shows that have already opened. Everything is in Omaha, unless otherwise noted in the address. The post ends with weekly activities at recreation centers and libraries (you may want to call ahead to make sure it is happening the day you plan on visiting). Forever Young Family & Children’s Series – Springtime in Paris! Where: Film Streams at Ruth Sokolof Theater, 1340 Mike Fahey St.
Where: Wildlife Safari Park, 16406 292nd St, Ashland, Nwb. 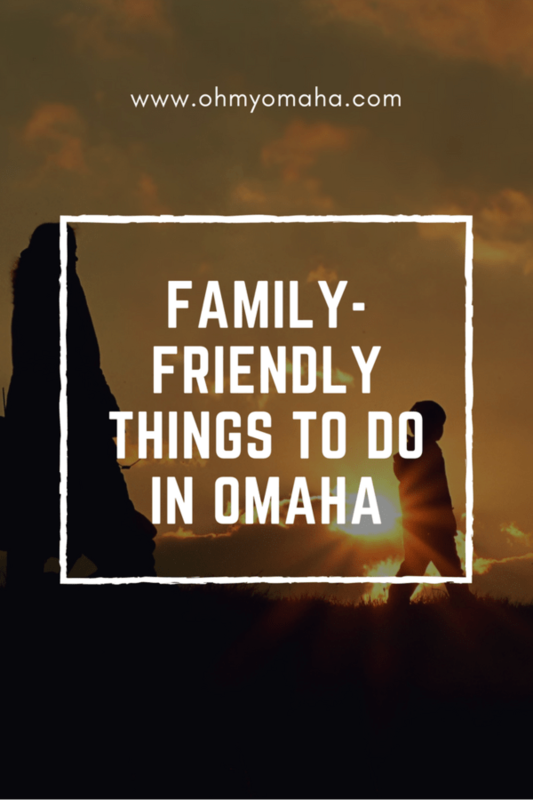 When: April 20, 8:30 to 10 a.m.
Where: Omaha’s Henry Doorly Zoo & Aquarium, 3701 S. 10th St. When: April 20, 9 to 11 a.m.
Where: Adams Park Community Center, 3230 John A Creighton Blvd. When: April 20, 9 a.m. to 3 p.m.
Where: Strategic Air Command & Aerospace Museum, 28210 W. Park Highway, Ashland, Neb. When: April 21, 9 a.m. When: April 23, 10 a.m. to 4 p.m. When: April 23-28; performances are Tuesday through Friday at 7:30 p.m., Saturday at 2 and 8 p.m., and Sunday at 1 and 6:30 p.m. Kids’ Night On Broadway is Wednesday, with pre-show activities in the lobbies starting at 6 p.m. When: April 24-28; performances are Wednesday-Friday at 7:30 p.m., Saturday at 4 and 7:30 p.m., and Sunday at 1:30 and 5 p.m.
Where: CHI Health Center, 455 N. 10th St.
Where: Lied Jungle at Omaha’s Henry Doorly Zoo & Aquarium, 3701 S. 10th St. When: April 27, 11 a.m. to 2 p.m. When: April 27, noon to 11 p.m.
Where: German-American Society, 3717 S. 120th St. When: April 28, 11 a.m. to 2 p.m.
Where: Stinson Park, 2232 S. 64th St. When: April 28, 4 to 6:30 p.m.
Where: Motto McLean Ice Arena, 5015 S. 45th St. When: Saturdays, May 4 through Oct. 12, 8 a.m. to 12:30 p.m. When: May 4, 10 a.m. to 2 p.m. When: May 4, 11 a.m. to 3 p.m. When: May 4 and 5, 7:30 p.m. When: May 4-12; Saturdays and Sundays from 11 a.m. to 6 p.m.
Where: Bellevue Berry Farm, 11001 S. 48th St., Papillion, Neb. Where: Joslyn Art Museum, 2200 Dodge St. When: Sundays, May 5 through Oct. 13, 9 a.m. to 1 p.m. When: May 10; park party from 5:30 to 7:30 p.m. and concert from 7:30 to 9:30 p.m.
Where: Zorinsky Lake, 3808 S. 156th St. When: May 10, June 14, July 12 and Aug. 31; 5:30 to 8:30 p.m. When: May 10 and July 19, 7 to 10 p.m. When: May 11, 2 to 6 p.m.
Where: Horsemen’s Park, 6303 Q St. When: May 18, 8 to 10 a.m.
Where: Scott Aquarium at Omaha’s Henry Doorly Zoo & Aquarium, 3701 S. 10th St. When: May 26, 2 to 6 p.m. When: May 31, June 28, July 26, Aug. 30 and Sept. 27, 6 to 10 p.m. When: Through May 4; Tuesdays through Thursday & Saturdays from 11 a.m. to 5 p.m., and Fridays from 11 a.m. to 8 p.m.
Where: KANEKO, 1111 Jones St.
Where: Strategic Air Command & Aerospace Museum, 28210 W. Park Hghway, Ashland, Neb. When: Through May 12; open daily from 9 a.m. to 5 p.m.
Where: Lauritzen Gardens, 100 Bancroft St. These activities are on-going and held on the same day each week. Still, it’s a good idea to call ahead before going, just to be sure. When: Second Thursday of the month, 10:30 to 11:30 a.m.
Where: Shadow Lake Towne Center, 7775 Olson Drive, Papillion, Neb. When: Saturdays, 10 a.m. to 2 p.m.
Where: Mangelsen’s, 3457 S. 84th St. When: Second Saturday of every month, 10 to 11:30 a.m.